Dr. Athula Gunasekara graduated from the University of Queensland in 1997. After completing his general cardiology training, he further trained in Interventional Cardiology at Westmead Hospital, Sydney. In 2008 he further developed his interest and expertise in Interventional Cardiology; endovascular procedures; and structural heart disease at the prestigious Mount Sinai Cardiovascular Institute in New York, USA under the mentorship of Dr. Samin Sharma. Since then he has continued to train with internationally recognized experts in the field of Interventional Cardiology in the USA; Japan and Europe and is able to offer highly specialized diagnostic and interventional techniques to his patients. In addition to adult general cardiology Dr. Gunasekara provides a range of Interventional Cardiology services. His expertise includes Complex Coronary Intervention; Peripheral Vascular Intervention; and Percutaneous Therapy for structural and valvular heart disease. As a specialist in performing coronary angiography and coronary stents via radial artery access - TRI (which is a less traumatic and much preferred method for patients with minimal vascular access complications) Dr. Gunasekara is an expert in re-opening chronically occluded arteries (CTO) with specialized novel techniques. Additionally, he is competent in using special devices and techniques for complex and calcific coronary artery lesions, such as rotational atherectomy/cutting balloons and intra-vascular ultrasound to facilitate coronary intervention and optimizing results. His training in CT coronary angiography, a non-invasive imaging modality, is a valuable addition to his practice in making clinical decisions for intermediate-risk patients and high-risk asymptomatic patients. Dr. Gunasekara provides highly specialized procedures such as Watchman device implantation, and Renal Sympathetic Denervation (RDN). He also provides a comprehensive vascular service. Screening for peripheral vascular disease (PVD) and intervention is a routine part of his practice. He has participated in numerous workshops both locally and internationally. He has conducted international workshops in complex coronary intervention; rotational atherectomy; and intra-vascular ultrasound. 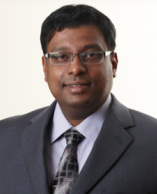 Dr. Gunasekara is a frequent invitee to India for teaching complex intervention techniques. He also provides presentations to local GPs on a regular basis. Dr. Gunasekara is a member of the Royal Australian College of Physicians; The Cardiac Society of Australia and New Zealand; and the American College of Cardiology.